Ana Kaloni's pointed pumps have been expertly crafted from plush beige velvet. 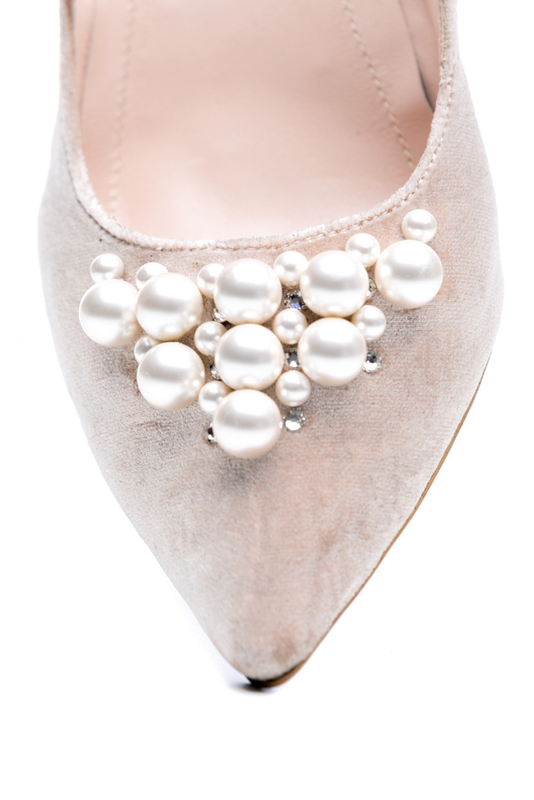 This decadent pair is topped with a signature handmade perls heart and set on a slim 7 cm heel. Try yours with everything from dresses to tailoring.